Local chambers are showing local authorities how to work together for the benefit of the Sheffield city region. Rothbiz reported in December that both Sheffield and Barnsley & Rotherham Chambers of Commerce announced their intention to promote a greater sense of partnership between the two organisations. The move reflects a desire to work as a "regional chamber movement" across South Yorkshire, ensuring powerful representation of the local business community in a time of devolution, and mirroring the Combined Authority (CA) and Sheffield City Region Local Enterprise Partnership (LEP). Now the Sheffield City Region Chambers Group, the group responsible for joint activities, has elected Paul Jagger MBE as its new chair. The four Chambers that make up the group are all independent business organisations that do vital work to support and represent businesses in their own geographies. However, each Chamber recognises the need for partnership and collaboration on key projects and initiatives. The Sheffield City Region Chambers group provides a mechanism for this collaboration to happen. Key areas of joint activity include: delivering events and creating supply chain opportunities around the region, economic research, business growth and enterprise projects, and providing a united a combined voice to key regional stakeholders such as the Local Enterprise Partnership. Future collaboration is likely to revolve around creating an even stronger voice for businesses in the region and international trade support. Paul has previously served as the President of both Sheffield and Barnsley and Rotherham Chambers and has a wealth of experience on key businesses issues including skills and education. 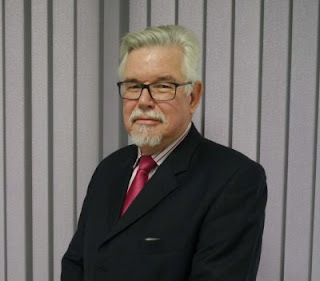 He is the chair of the corporation at Thomas Rotherham College and vice chair at Barnsley College. Commenting on the appointment, Paul said: "I am delighted to take up this position on behalf of the four Chambers working with businesses in Barnsley & Rotherham, Doncaster, East Midlands, and Sheffield. Each Chamber is absolutely committed to add value to their respective business communities and driving forward economic growth in the Sheffield City Region. Equally, all Chambers recognise that, on certain issues and projects, that collaboration and scale are necessary to have the maximum impact and that is why we formed this partnership a number of years ago. "It's our intention to continue working as critical friends to key partners in the region such as the Local Authorities and the Local Enterprise Partnership. The region’s Chambers offer a credible voice for the private sector, representing thousands of firms of every size and industry. As such, we are incredibly well placed to appraise local decision makers of business sentiment on key issues such as: infrastructure investment, devolution, access to finance and skills. In all cases, we will be solution orientated and focus on working progressively and collegiately with our public sector partners to get things done. "As the Local Enterprise Partnership goes on a journey from strategy to delivery, we think it is necessary to engage an ever wider family of businesses in its activities and decisions. We will commit to working closely with the LEP to ensure that this happens." One of the joint projects of the four Chambers is the Sheffield City Region Quarterly Economic Survey which gives a snapshot of how the regional economy is performing and is used to better inform local, regional and national government and policy-makers on issues of concern and to help shape support structures available to the local business community.